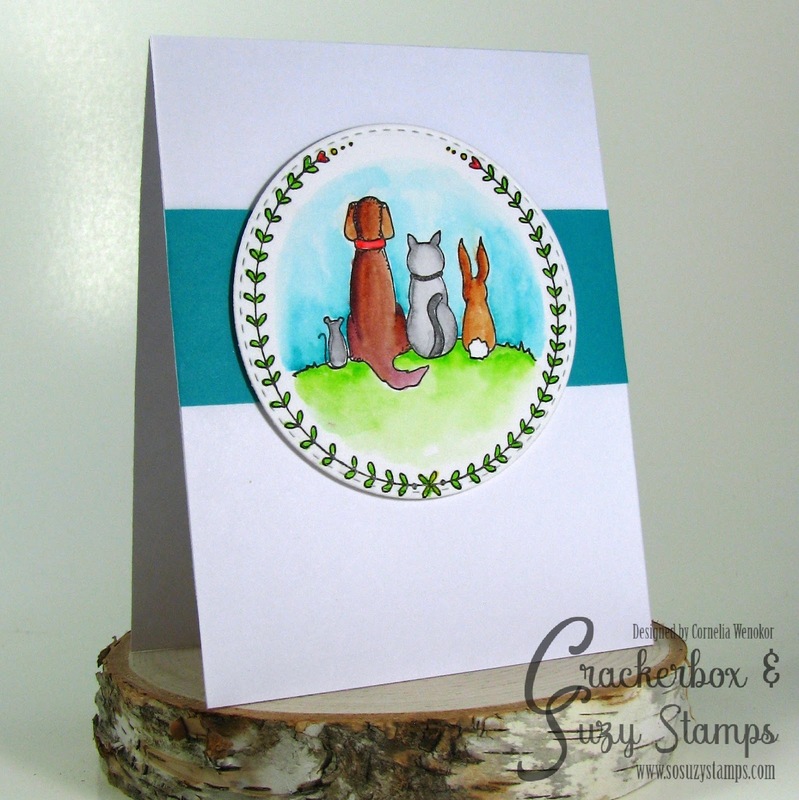 I used some of the new release stamps for my card - the Pet Circle. I die cut the circle and stamped and colored it with Inktense and water brush pens. I glued a strip of teal paper as background and added the circle with a layer of fun foam for some dimension. 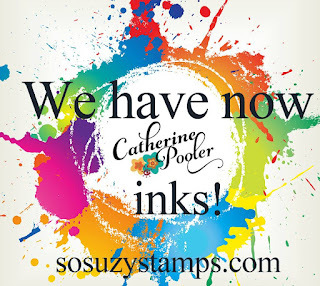 And more exciting news - we now have Catherine Pooler Inks! 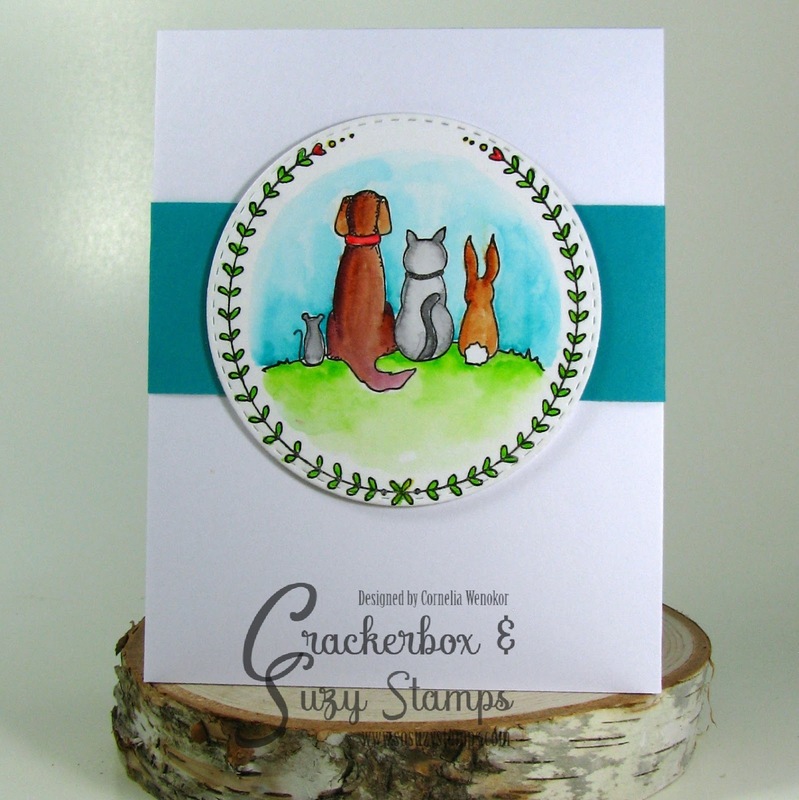 What a touching and precious card for anyone who's lost their best friend. That sentiment brought a tear to my eye. Beautifully colored, as well. Beautiful card and a wonderful sentiment for such a sad occasion. So sweet....love all your adorable critters! Cute animal card! 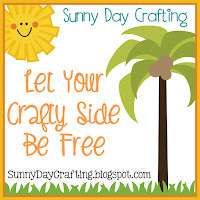 Thanks for joining us at Sunny Day Crafting.